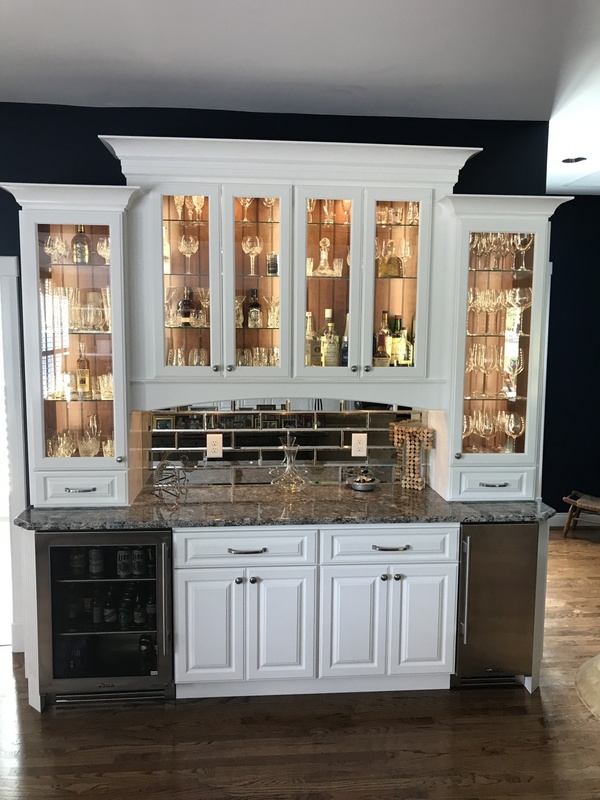 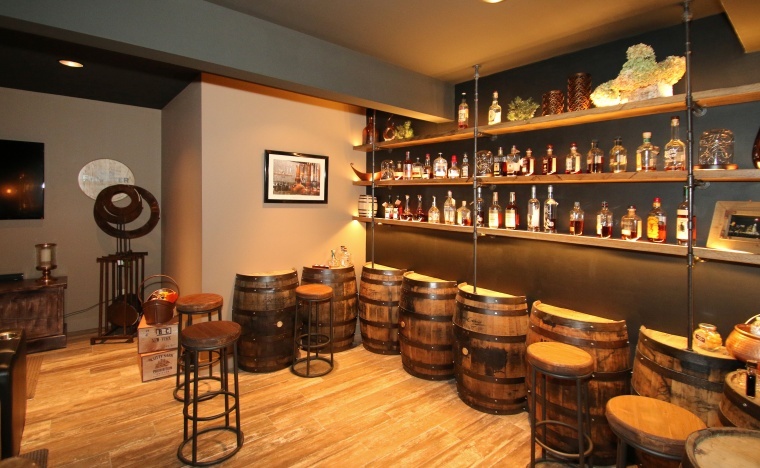 Our clients wanted a bar area in their home so when they entertain, and also have all the drink supplies and glasses are in one location. 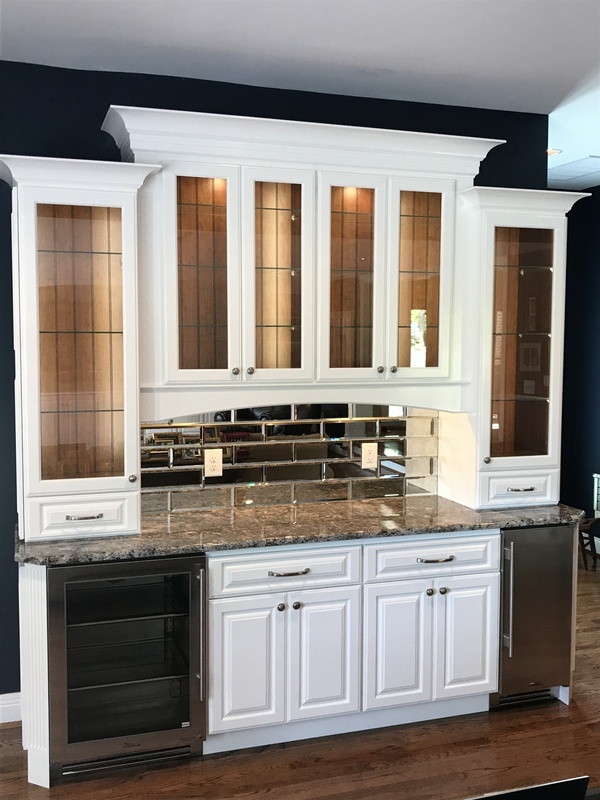 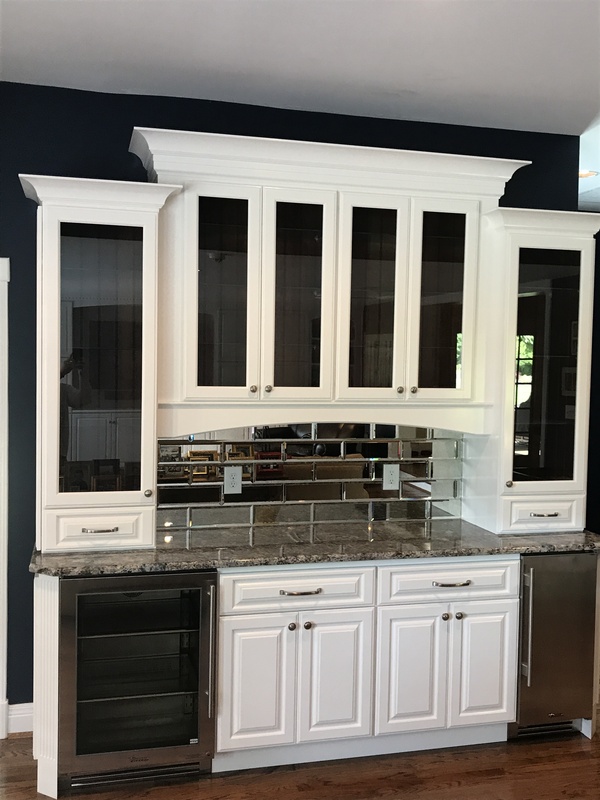 The designer chose white cabinets to contrast the navy wall behind the bar with as much glass as possible to display everything inside. 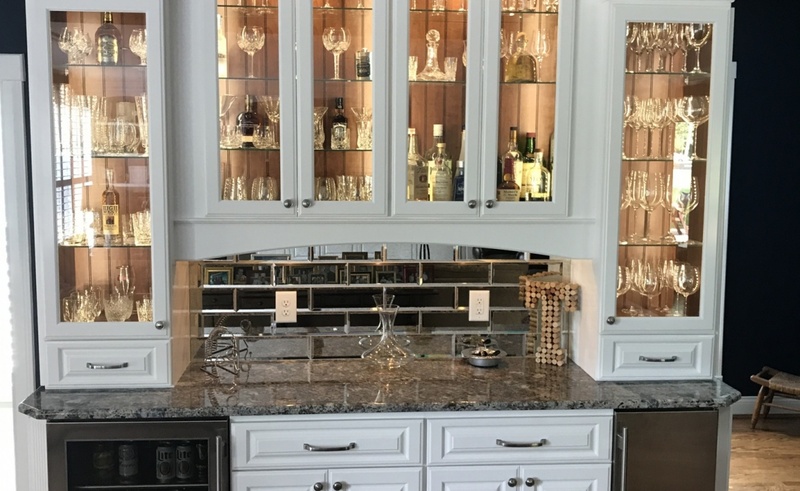 The bar was finished off with a mirrored backsplash tile and complimented with granite countertops.